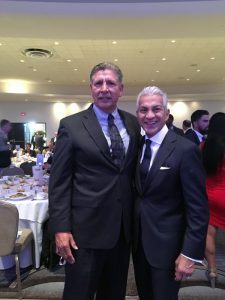 JohnnyBoard’s Winning Video earned a spot at The United States Hispanic Annual National Convention (USHCC), the largest gathering of Hispanic business leaders in America. Held from October 9-11 in Miami Beach, FL, at the Fontainebleau Hotel, the 37th Annual Convention is the country’s largest networking venue for Hispanic business and Fortune 1000 corporations interested in the Hispanic market. Over two-days, the National Convention affords Hispanic vendors and corporate buyers the opportunity to establish partnerships where business opportunities can flourish. JohnnyBoards, Indoor Advertising, won a place at the table with a video about the value of Indoor advertising using bathrooms or washrooms as a great space for advertising corporate clients and social marketing clients. The USHCC actively promotes the economic growth, development and interests of more than 4.1 million Hispanic-owned businesses, that combined, contribute over $661 billion to the American economy every year. It also advocates on behalf of 259 major American corporations and serves as the umbrella organization for more than 200 local chambers and business associations nationwide. JohnnyBoards was proud to be giving the opportunity to present it’s video on Indoor advertising for corporate and social marketing in during the Tuesday Luncheon. JohnnyBoards is a leader in Albuquerque’s Indoor advertising, providing local and national advertising services to small businesses. JohnnyBoards would like to thank Thomas Fite and Michael Guastaferro with Inspire Studio Marketing, for producing JohnnyBoard’s Winning Video.